Dynamic wind resistance provides an efficient smooth rowing stroke. The upholstered, padded, sliding seat makes rowing comfortable and sliding easy even during longer rowing routines. For less than $500, it’s hard to go wrong with the Stamina ATS Air Rower. This rower uses simple air power for resistance and the frame is made entirely of steel. The Stamina ATS also has a built in LCD fitness tracker to monitor speed, distance, and more. 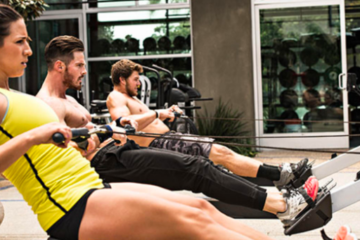 Rowing machines are powerful fitness tools that can help you lose weight and add muscle tone at the same time. If you’re in the market for a rowing machine but want to keep the price below $500, keep reading for a quick look at some of the top models on the market right now. This air-powered rower relies on your power output and speed to adjust the effort level. The harder you row, the more intense the resistance becomes. This makes for simple, no frills operation that equates to durability and long-term reliability. Simple, durable, and highly adjustable, the Kettler Home Exercise/Fitness Equipment: Favorit Rowing Machine is another great choice for rowing machine shoppers looking to keep the overall price below $500. With resistance coming from two industrial strength pistons, the Favorit can be quickly adjusted between 50 different resistance levels. Users simply move a knob to a new resistance marking. 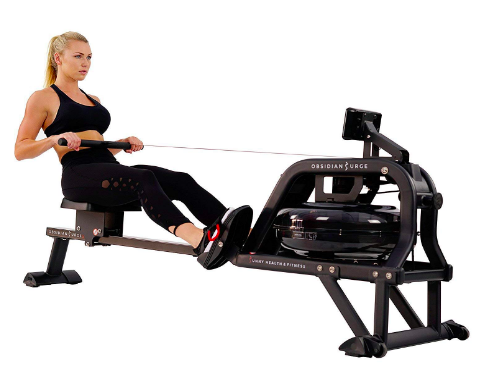 Rather than just moving faster for more resistance, this rower allows you to set the difficulty right up front. A padded seat and ergonomically correct foot pedals make the Favorit comfortable to use. And a 285 weight capacity ensures that it can be used by most people. Unfortunately, the Favorit cannot be folded up or easily taken apart for storage. It is, however, much more compact than most air powered rowers. Just to be safe, make sure you have space for the unit before picking one up. If you want a truly authentic rowing experience, a water rowing machine is the way to go. Unfortunately, most water rowers are quite expensive. 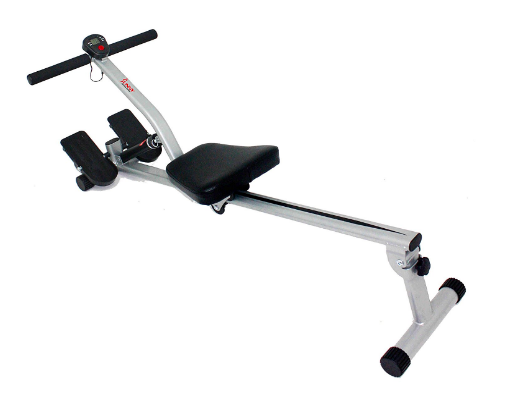 This is not so with the Sunny Health & Fitness Water Rowing Machine Rower w/ LCD Monitor – Obsidian SF-RW5713. This rower comes in well below the $500 mark but still provides an excellent water rowing experience. Along with a smooth, authentic water rowing feel, the Obsidian is equipped with a digital monitor for accurately tracking heart rate, distance rowed, and other important fitness statistics. Non-marking rubber wheels make this rower easy to move around. And, while it doesn’t fold or disassemble for storage, the Obsidian is designed to be stored on its end—so it can easily be stored out of the way in a closet or storage area. 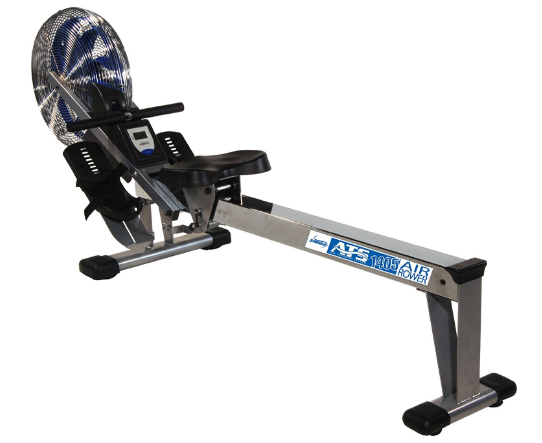 If you really want to row, the Stamina X Air Rower is a simple, all steel air rower that’s made for frequent use. Relying solely on the resistance generated by the fan blades as they spin, this rower is ready to go as hard as you can. Although the X Air keeps it simple, it does have a multi-function fitness monitor that’s designed to track distance, speed, and calories burned. Another great feature of the X Air is its ability to be stored in tight places. The X Air has wheels for easy movement and can be folded in half to save space. With so many rowing machines available in so many different configurations, it can be hard to pick just one. But with a budget of $500 or less, one of the best choices available is the Stamina ATS Air Rower (Check Price on Amazon.com). This rower is simple and durable. Plus, it folds up for easy storage. Air power ensures that you’ll never run out of resistance–the harder you row, the harder the resistance gets. And, a built-in fitness tracker helps you track your progress. 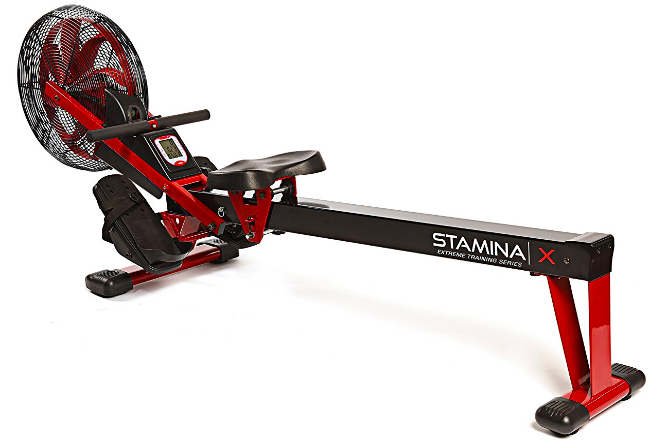 If you’re shopping for a rowing machine, be sure to check out the Stamina ATS Air Rower.